1984-1991 Porsche 944 All Trims All Engines. 1992-1995 Porsche 968 All Trims All Engines. 1987-1988 Porsche 924 S Coupe 2-Door All Engines. We normally reply within 12 hours. REMOVED FROM 1990 PORSCHE 944S2. Removed from 1984 PORSCHE 944. We normally reply within 12 hours. 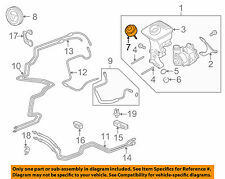 FITS ALL 924S 86 TO 88 - ALL 944 944S 944 TURBO 944S2 AND ALL 968 FROM 1986 TO 1995 ---. --- AND YES, WE ARE THE REAL 944 ONLINE ---. THIS IS THE ONE THAT ONE END BOLTS TO THE RACK AND THE OTHER END FITS INTO THE LINE JUST IN FRONT OF THE COOLER -----. 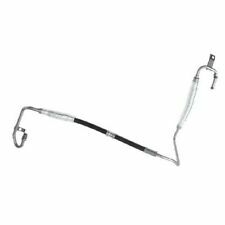 This Listing Includes : 1 - 95534745112 - Genuine - Power Steering Pressure Hose New - Genuine Porsche 955 347 451 12 / 95534745112 Power Steering Pressure Hose. 928 ( 1985 - 1990 ). We normally reply within 12 hours. Porsche Electric Power Steering Pump CUP 997 996 RSR Used LOW MILE $1800 NEW! Removed from 1987 PORSCHE 944. We normally reply within 12 hours. Here is a like new take-off genuine Porsche power steering pump pulley 9A1.147.123.00 as used on 2009-12 987 Boxster/Cayman and 2009-12 911/997 Carrera/Turbo/GT2/RS models. Wir sprechen Porsche! No surprises here! NOT SATISFIED! We normally reply within 12 hours. Rennbay power steering pump seal kit. This Listing Includes : 1 - 95534744210 - Genuine - Power Steering Hose New - Genuine Porsche 955 347 442 10 / 95534744210 Power Steering Hose. Fits: Cayenne. Porsche Genuine OEM power steering intake pipe. PORSCHE CAYENNE 2011 -2016 w/o electric power steering pump; w/disengageable stabilizer bar, 3.6L. PORSCHE CAYENNE 2008 -2010 w/disengageable stabilizer bar, 3.6L. PORSCHE CAYENNE 2017 -2018 w/o electric; w/hydraulic stabilizer bar, 3.6L. Used, in good working condition. Make/Model: Porsche Cayenne S. ENGINE: V8 4.5L. 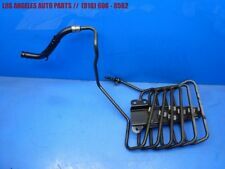 2004 PORSCHE CAYENNE S POWER STEERING HOSE LINE TUBE PIPE OEM. Manufacturer Part Number: 94814701901. Chassis: 957. Model: Cayenne. Notes: CHIPPED PULLEY. Make: Porsche. Year: 2010. Porsche models 944S and 951. 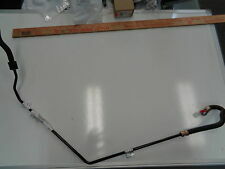 This item is an adjusting rod for the Power Steering Pump on. Removed from 1979 PORSCHE 928. We normally reply within 12 hours. 2009 997 911 GT2. 2009 997 911 Turbo. FREE SHIPPING!! ALL PARTS GUARANTEED!! Fits all 944 models with power steering. All our pictures are from the exact item listed, but in a few occasions, there may be a mix-up or an error. 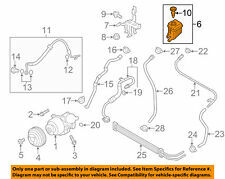 This Listing Includes : 1 - 95534744303 - Genuine - Power Steering Suction Hose New - Genuine Porsche 955 347 443 03 / 95534744303 Power Steering Suction Hose. This Listing Includes : 1 - 95534744302 - Genuine - Power Steering Hose New - Genuine Porsche 955 347 443 02 / 95534744302 Power Steering Hose .